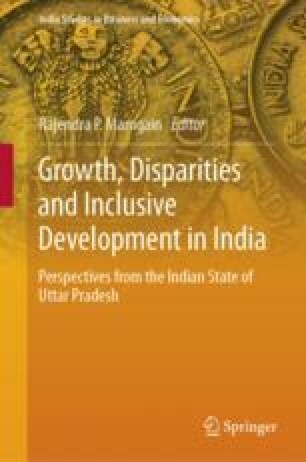 This article seeks to examine the extent of inclusion and marginalization of different social groups in the rural and urban sectors of Uttar Pradesh (UP) (by different NSS regions) and all-India (by rural/urban sectors) using a rigorous conceptual framework. Using this framework, the article quantifies the extent of inclusion, mainstreaming and marginalization of different social groups in a plural society. Further, it examines the extent of inclusion and marginalization across social groups with respect to both food consumption and total consumer expenditure. Based on these two relative profiles, it defines rules for identification of vulnerable groups calling for targeted food policy intervention. It finds evidence of marginalization of the third degree suggesting that marginalization is essentially a question pertaining to distribution and not disparities across social groups. Examining the inclusive and marginalization profiles of different social groups in terms of food and total consumer expenditure, it shows that the Scheduled Castes and the OBCs deserve special attention to promote food security. In the Northern Upper Ganga Plains, both the SCs and the OBCs call for targeted intervention in the rural sector but only the OBCs in the urban sector. Another novel feature of the article consists in its verification of food insecurity status in terms of incidence of outlier food consumption, that is, proportion of poorest outliers. Such empirical profiles for UP show the Eastern region of rural Uttar Pradesh to be the most deprived followed by Northern Upper Ganga Plains, Central, Sothern Upper Ganga Plains and the Southern region. As regards Urban UP, the incidence of outlier food insecurity is the highest in the Northern Upper Ganga Plains, followed by Eastern and Southern NSS regions; the incidence is nil in the Central and Southern Upper Ganga Plains. As regards the profiles across social groups, the findings show the poorest rural food consumption in the Easter region of Uttar Pradesh among the OBCs; the richest among the poorest food consuming sample households also happens to be among the OBCs from the Southern region. As regards urban UP, the poorest food consuming sample household is from the Eastern region among the OBCs; the richest of the poorest food consuming households is also from the OBCs in Southern UP. This is in contrast with the general perception about the relative economic and food security status of different social groups in Uttar Pradesh.